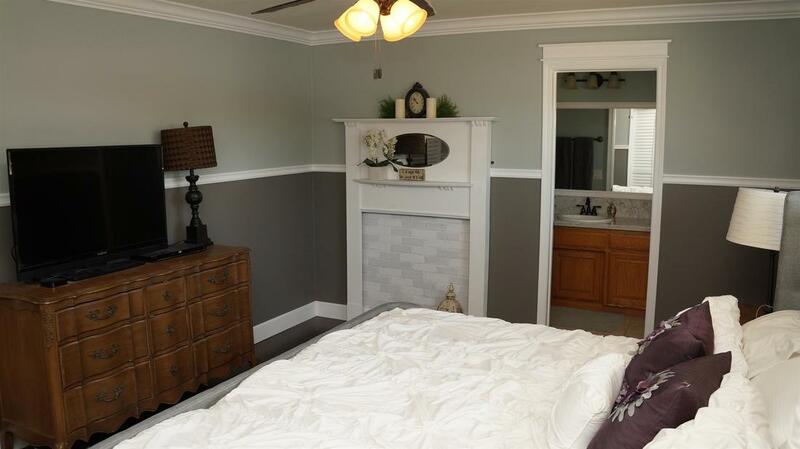 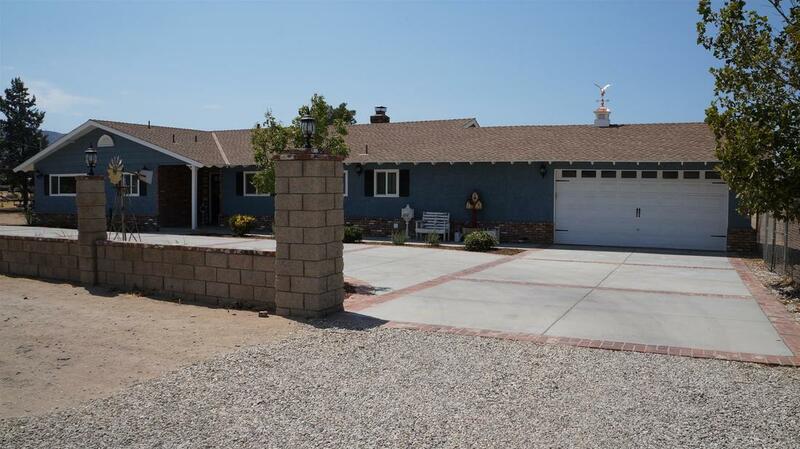 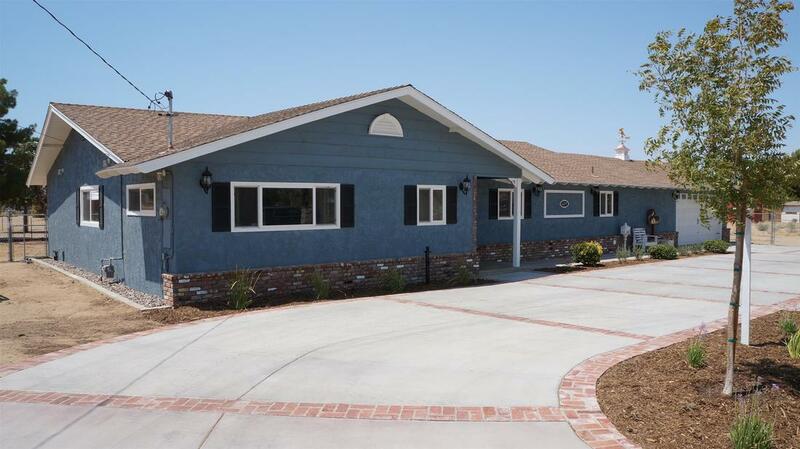 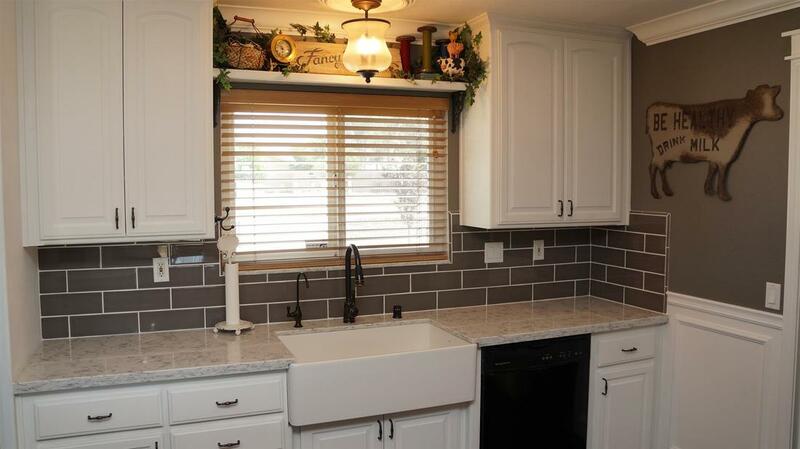 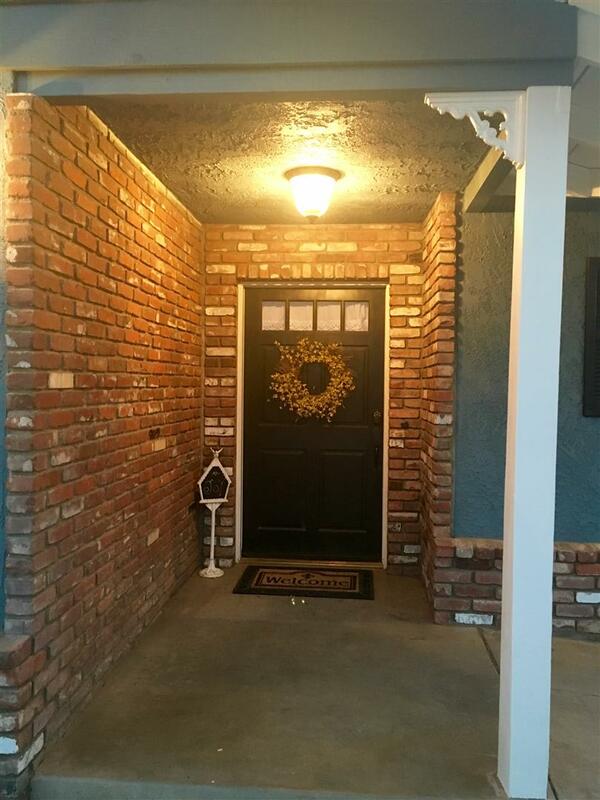 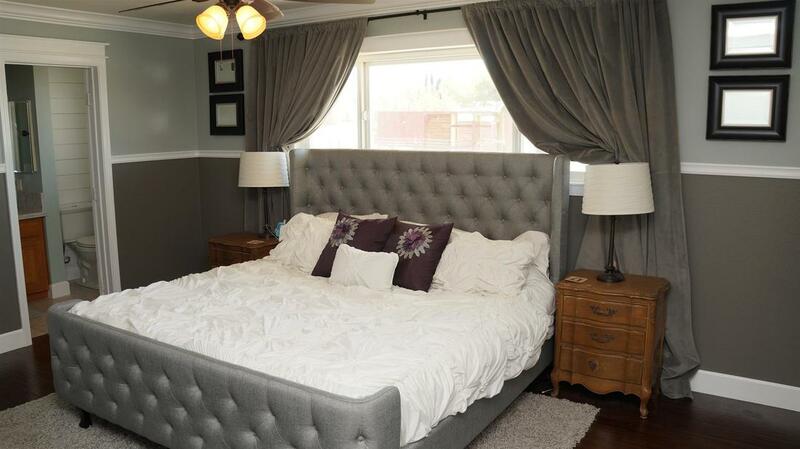 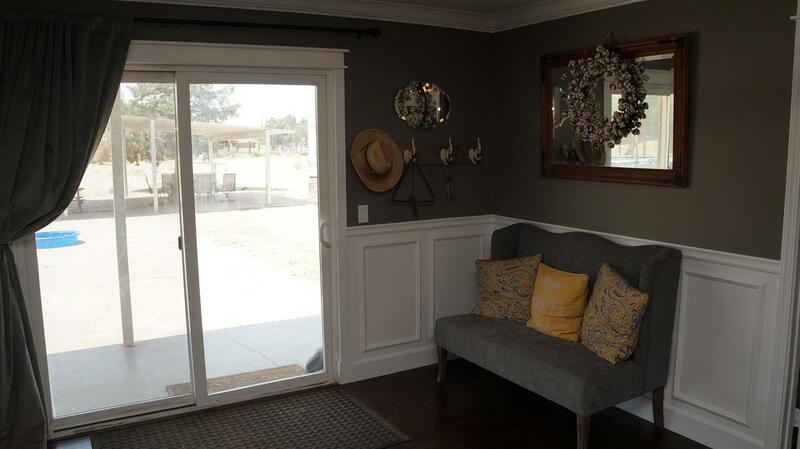 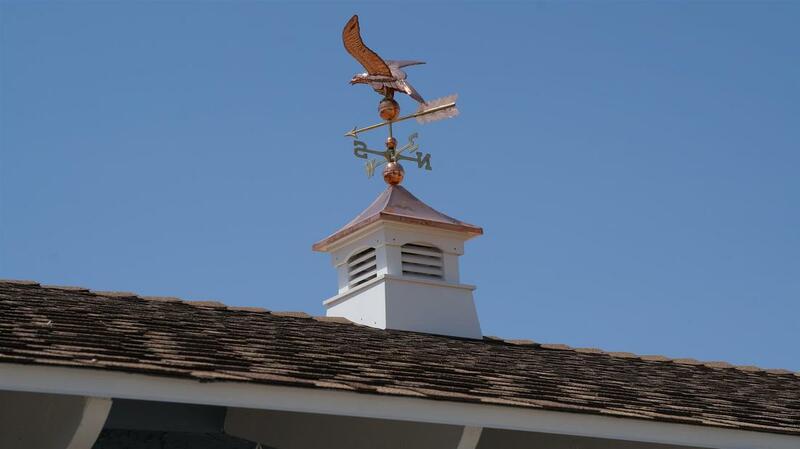 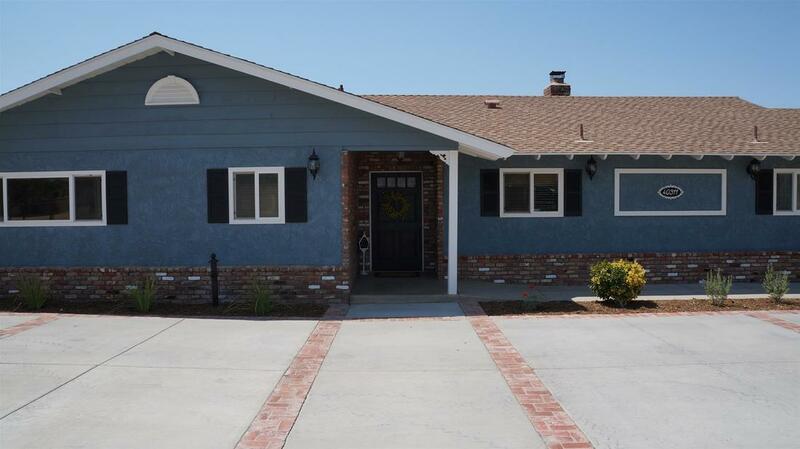 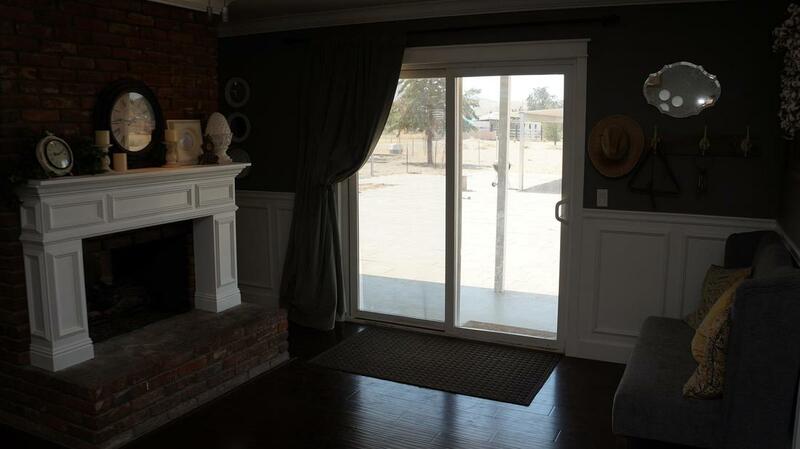 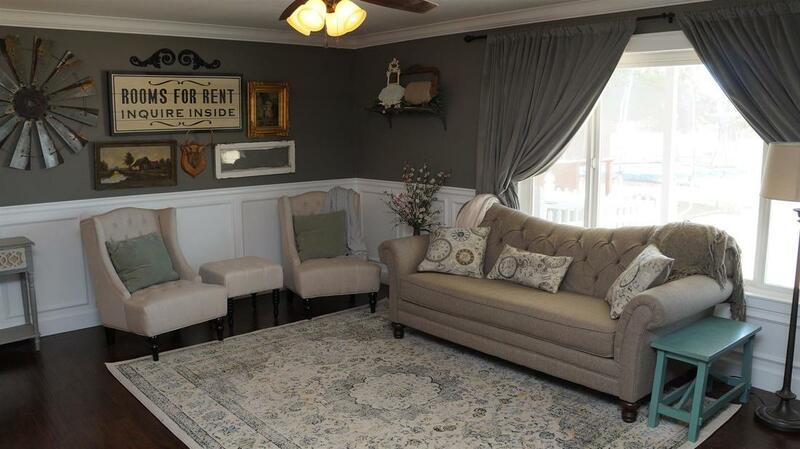 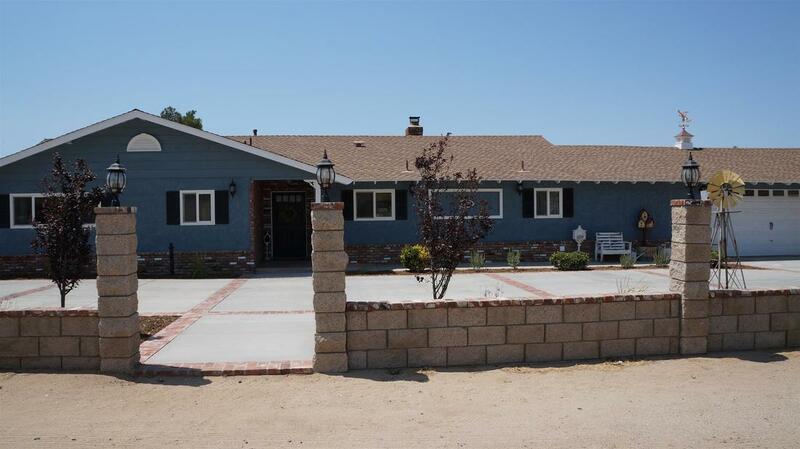 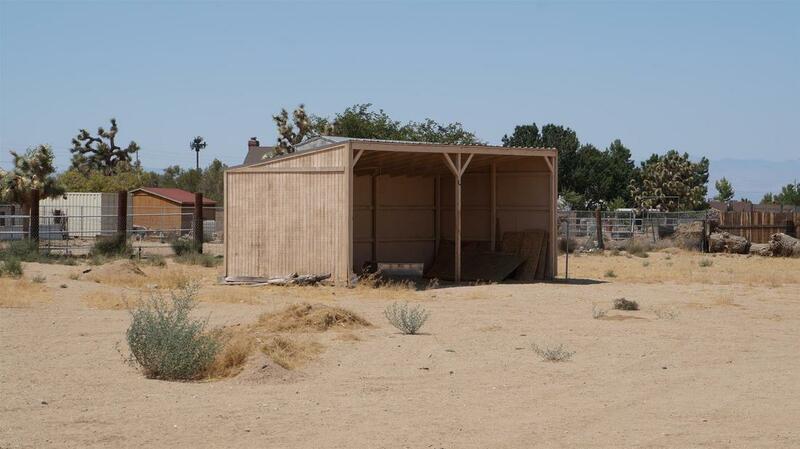 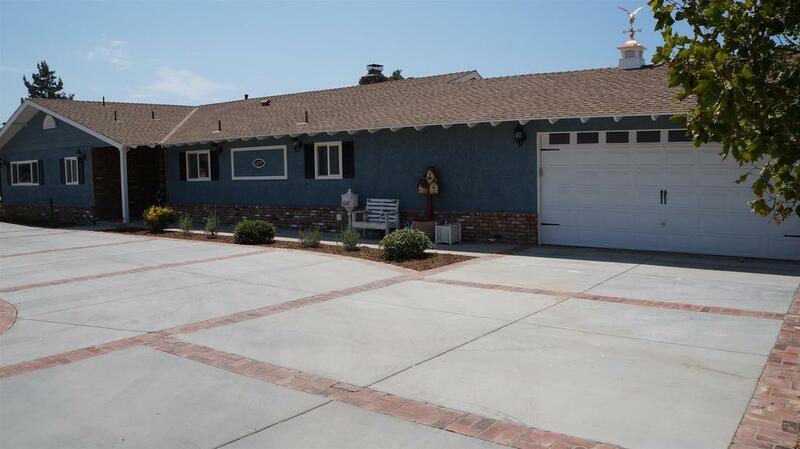 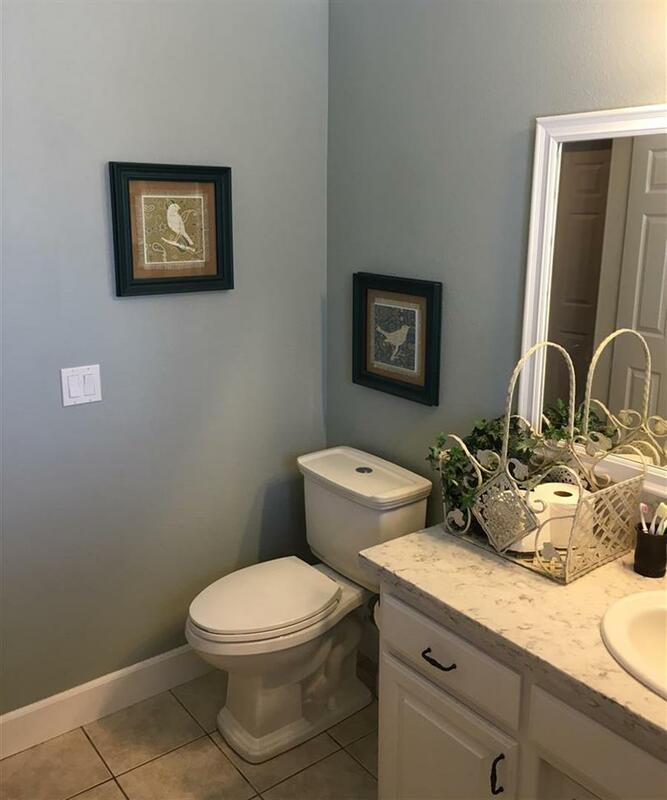 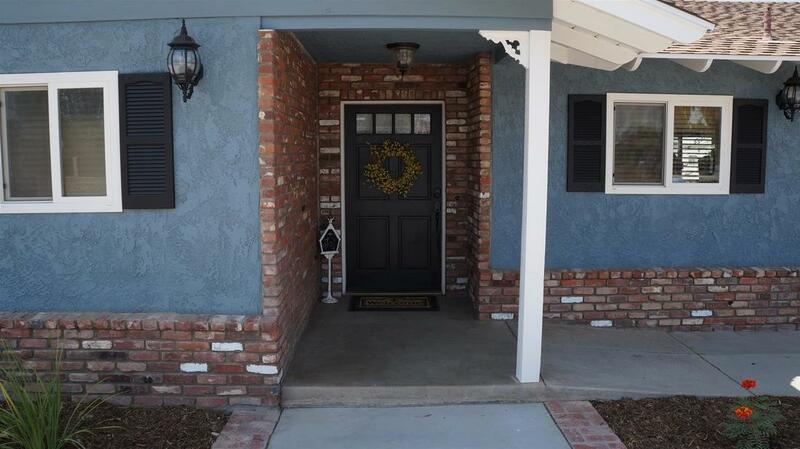 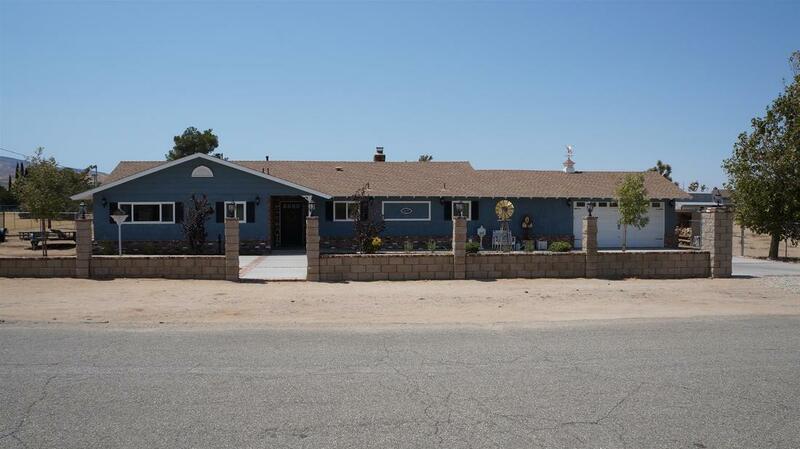 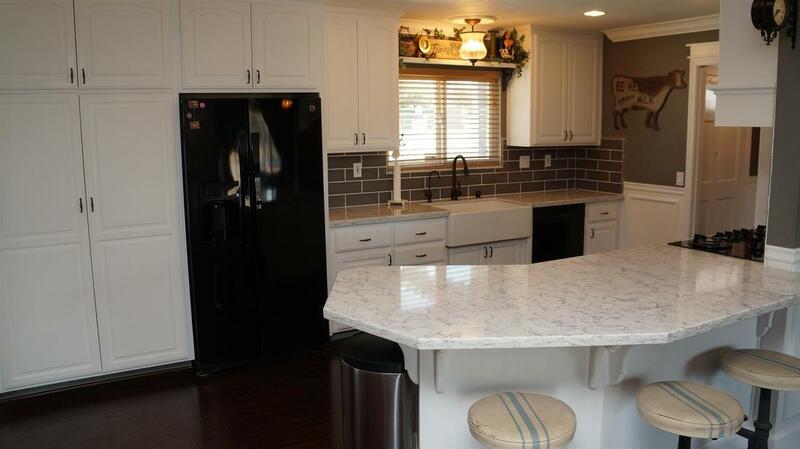 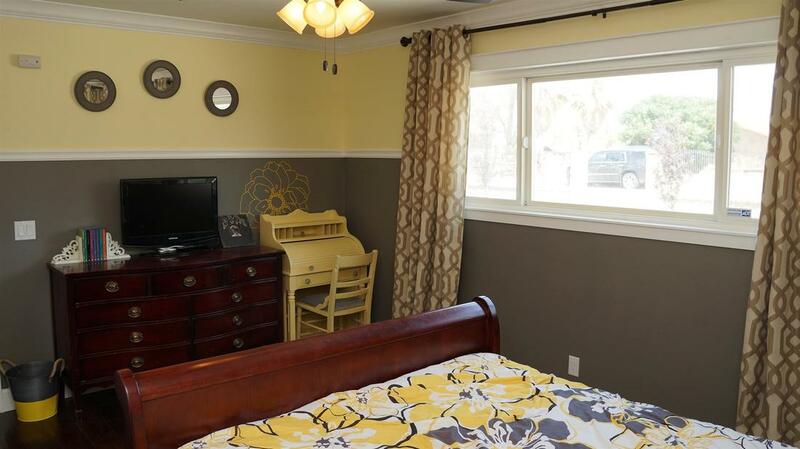 This charming West Palmdale home shows like a model as it has been remodeled inside and out with attention to detail. 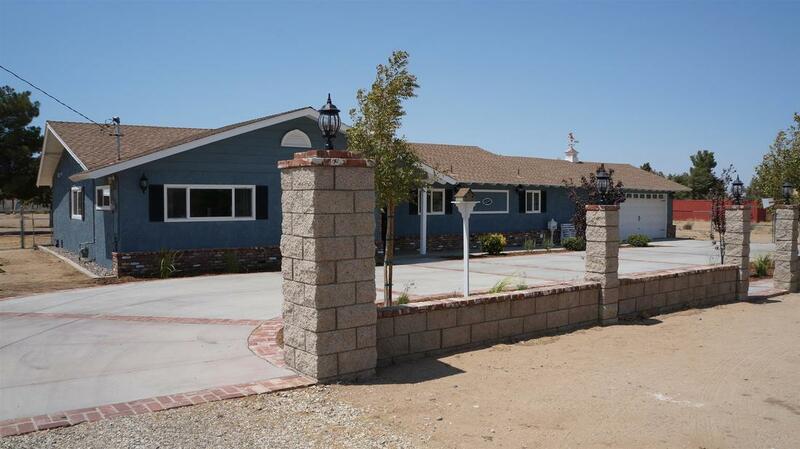 The home is just under 2,000 sq-ft with 4 spacious bedrooms and 2 bathrooms on a large 2.58 acre lot surrounded by lovely horse properties. 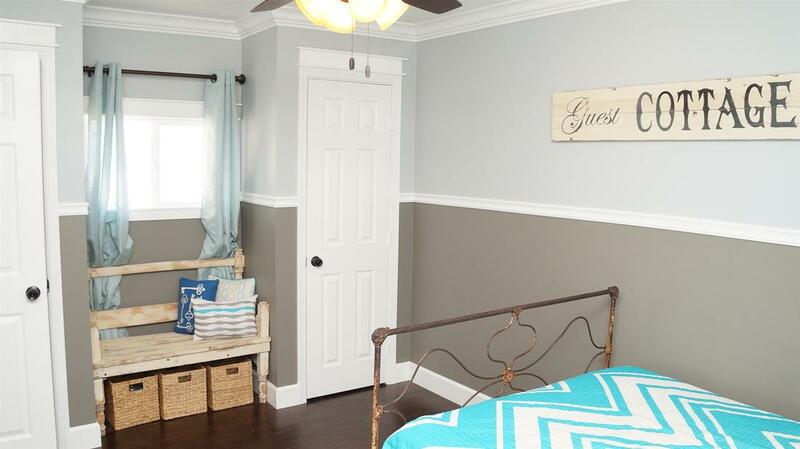 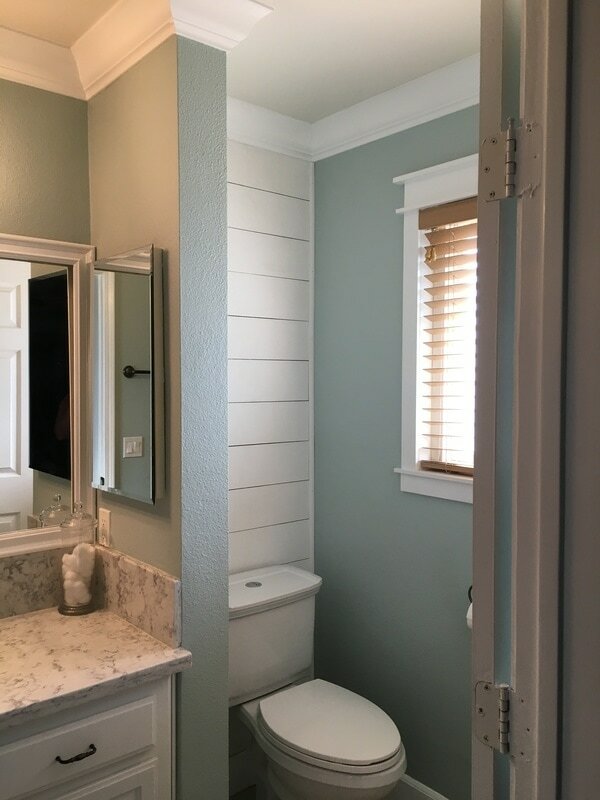 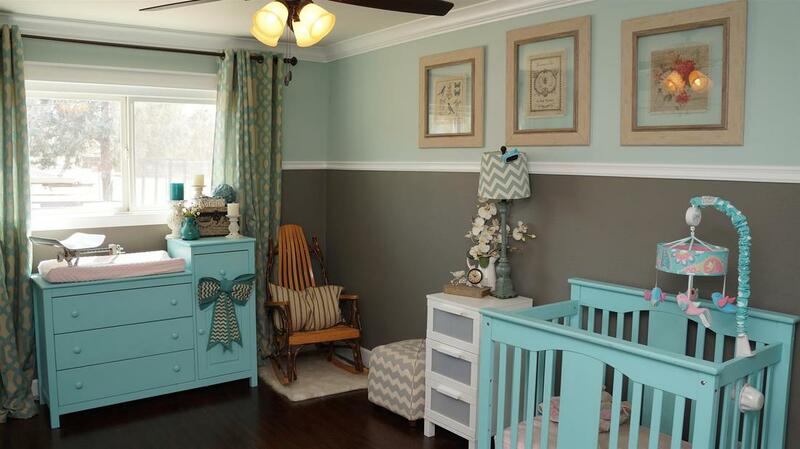 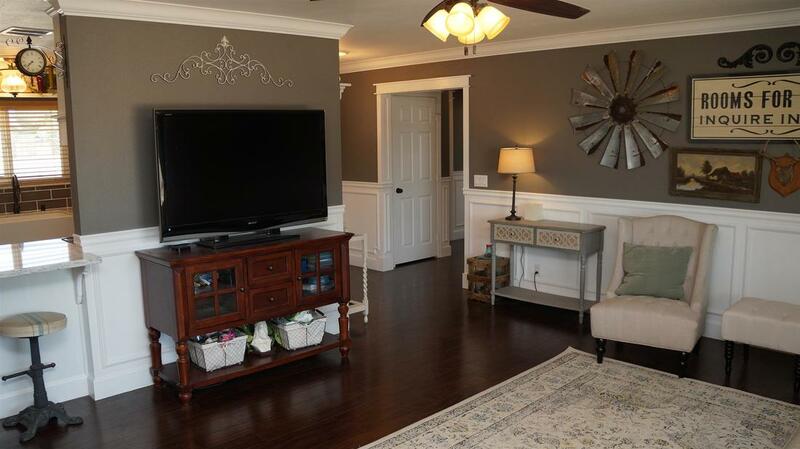 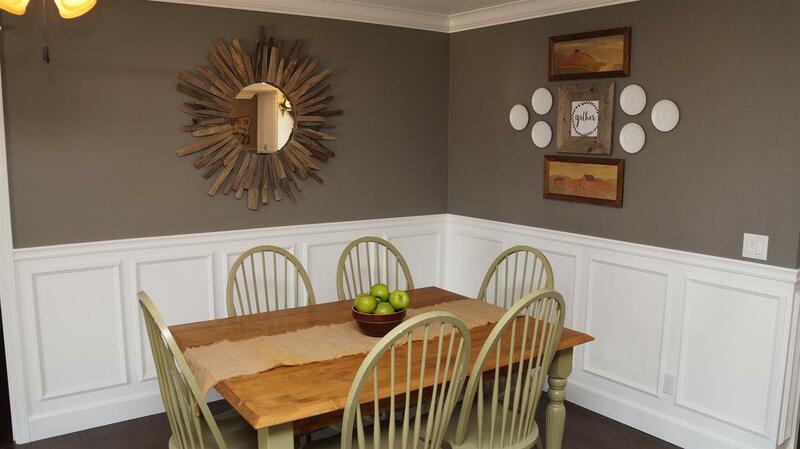 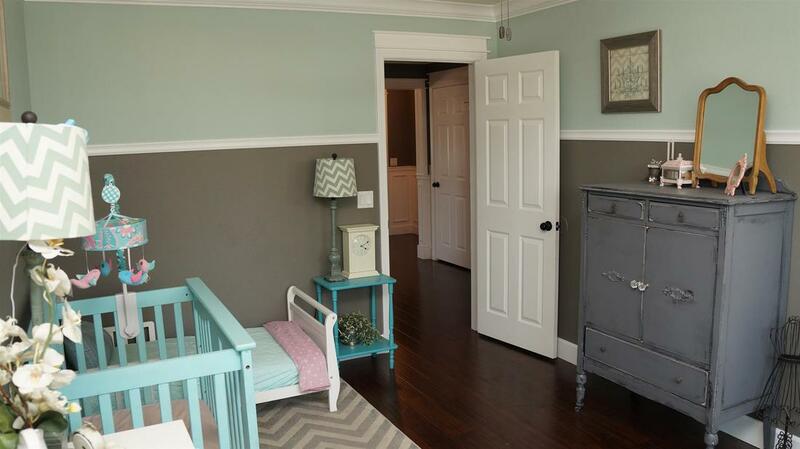 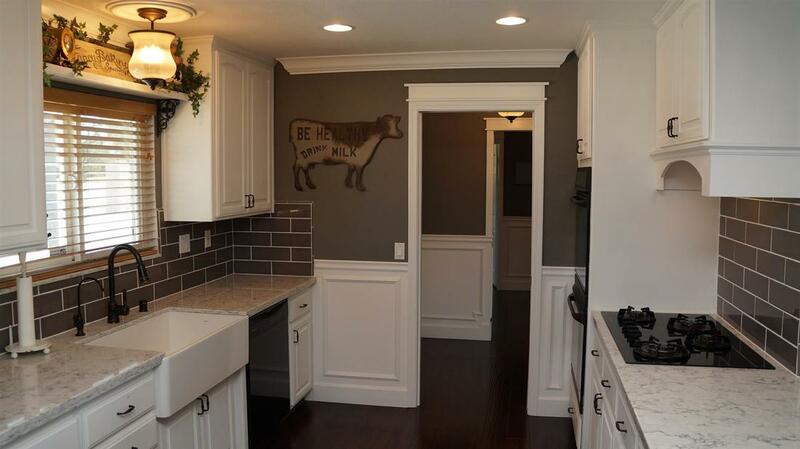 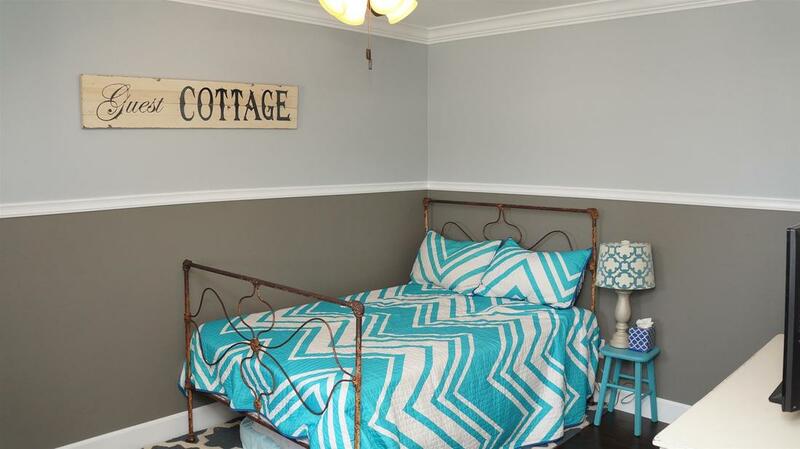 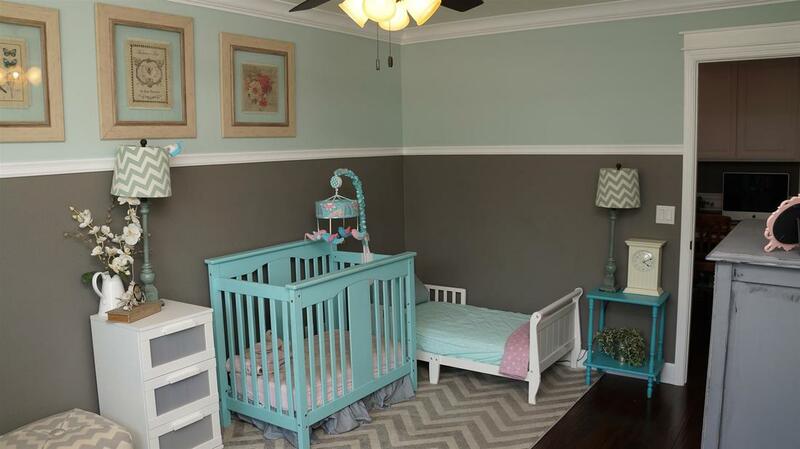 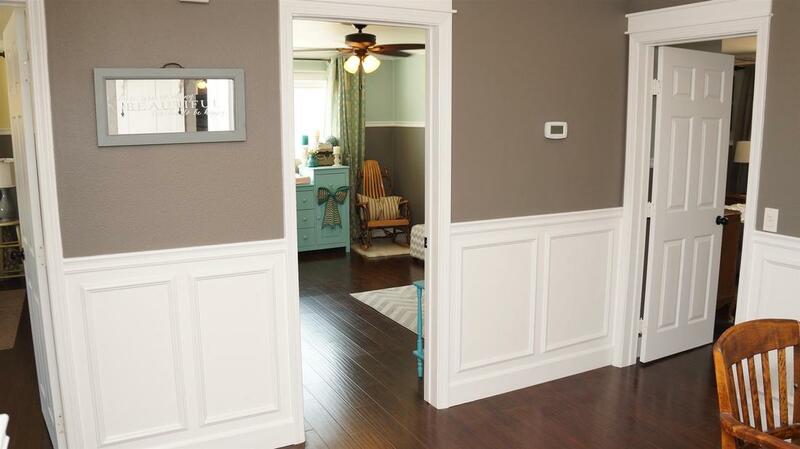 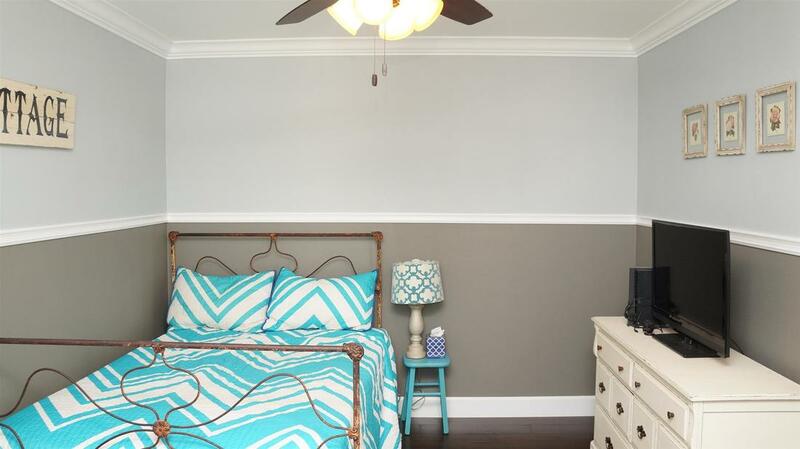 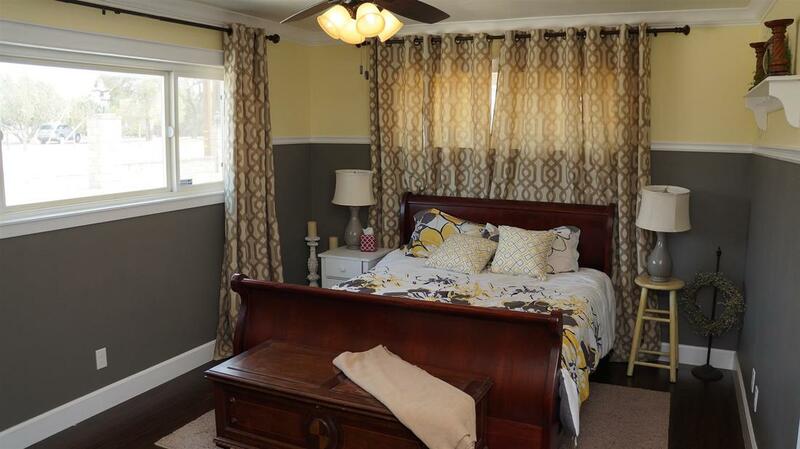 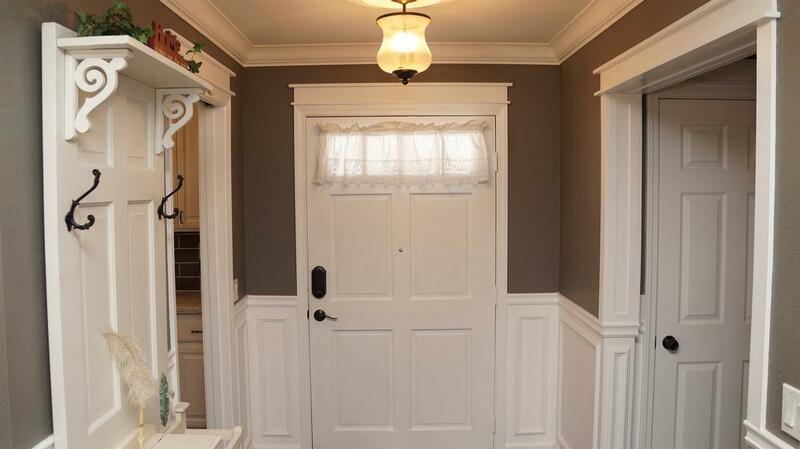 The home features beautiful laminate wood flooring contrasting perfectly with custom two tone paint, gorgeous wainscoting, 5 1/4" crown moulding, large baseboards, chair rail as well as door and window trim throughout. 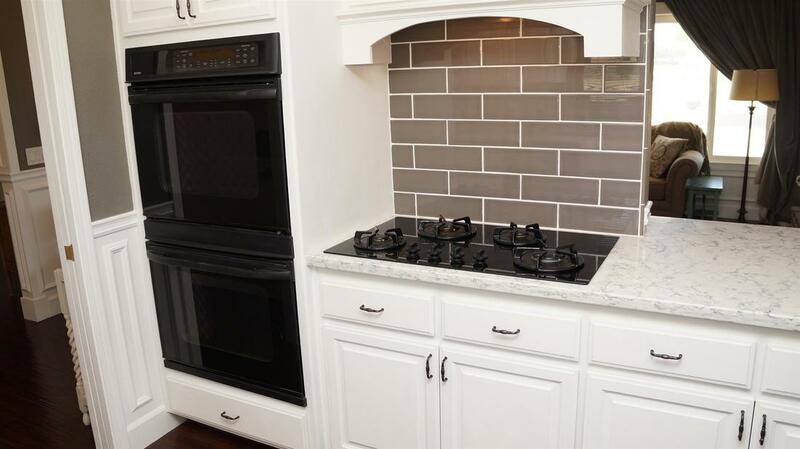 The impressive kitchen includes newer quartz counters with breakfast bar overhang, large subway tile back-splash, huge front apron farm sink, pantry roll out shelves, recessed lighting, counter-top stove, double oven, dishwasher and a reverse osmosis drinking water system. 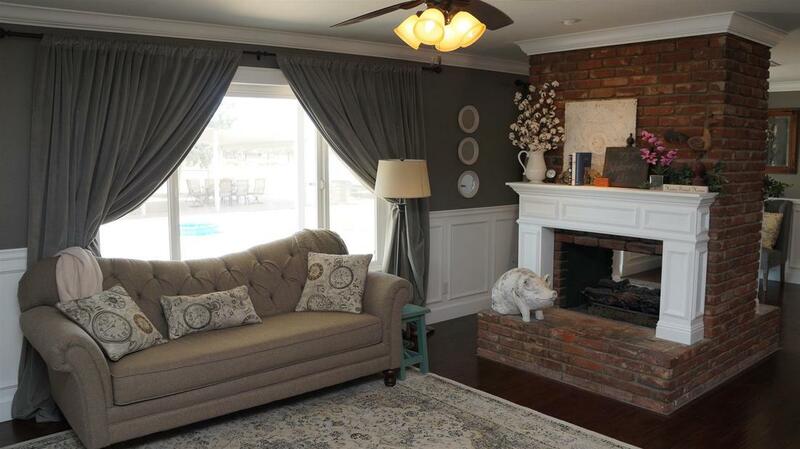 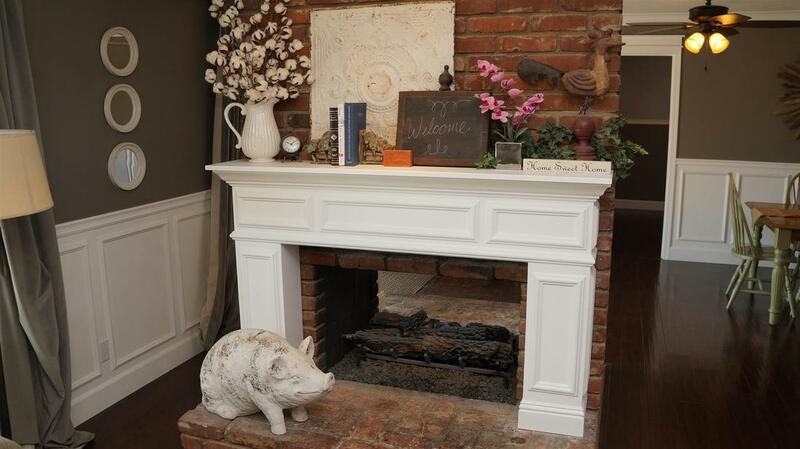 Within the family and dining rooms you will find the stunning double sided brick fireplace with accent lighting and custom built mantle surrounds. 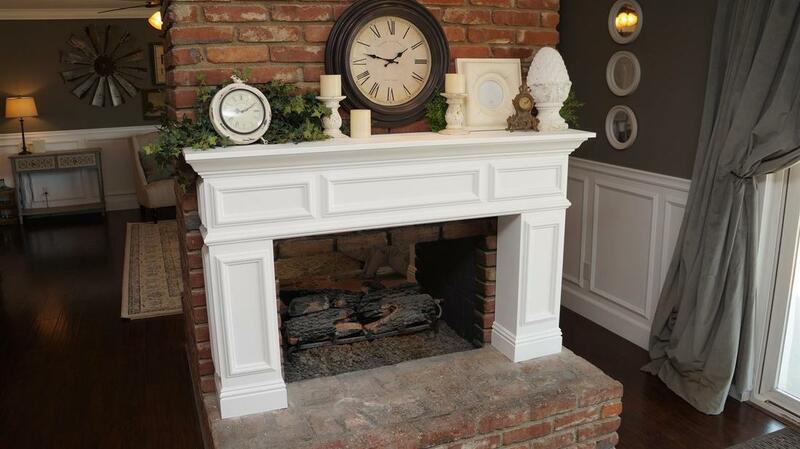 The firebox includes an upgraded, oversized gas insert which produces ample heat and a stunning ambiance in the winter. 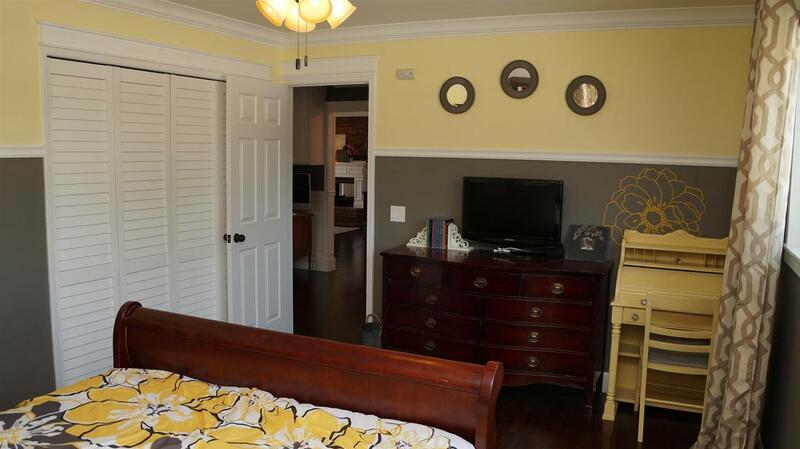 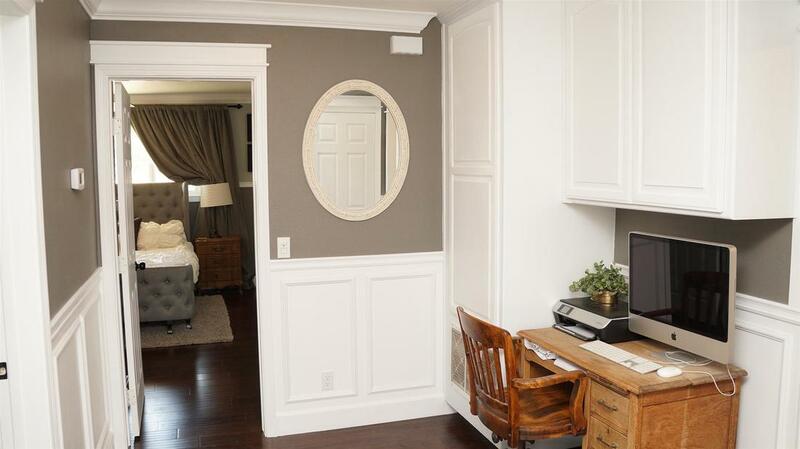 The spacious master suite easily accommodates a king size bed, dressers and other decor highlighted by a built in antique fireplace mantle. 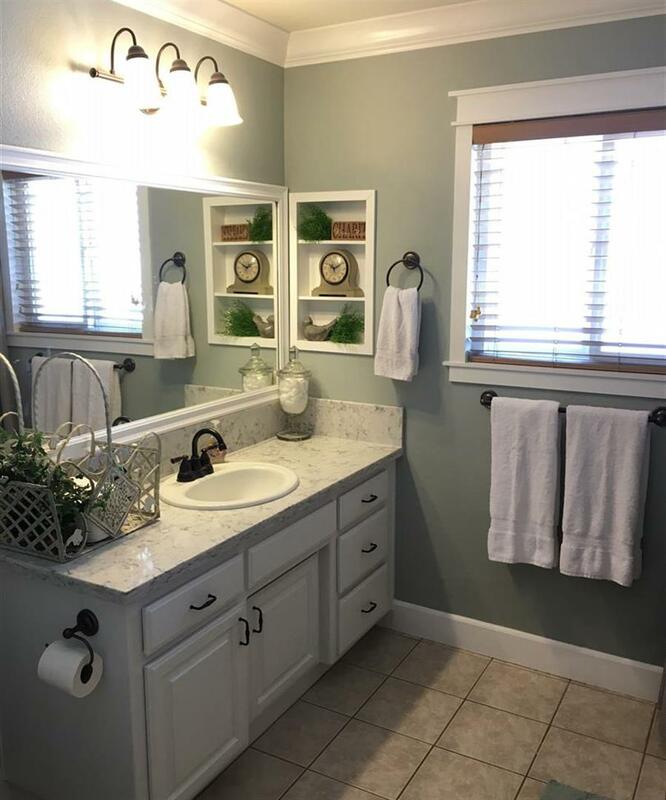 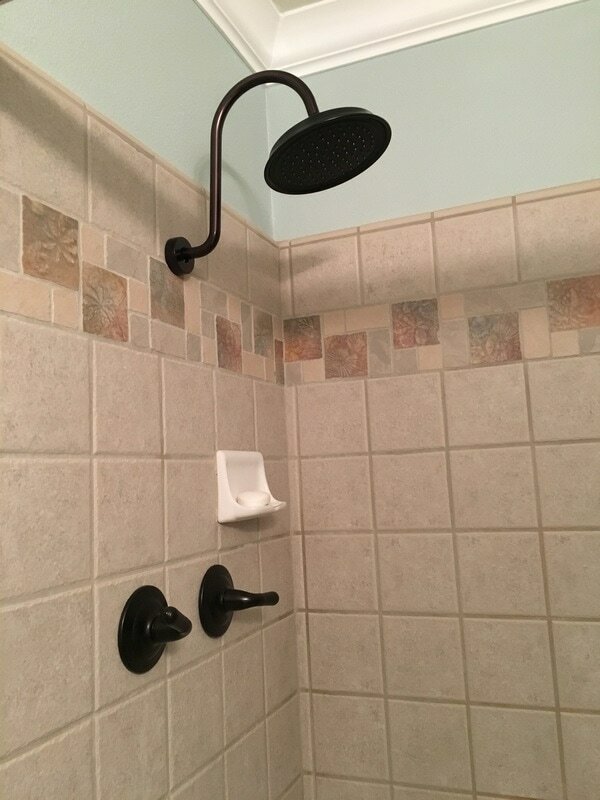 Bathrooms include quartz counters, new low flow toilets, tiled floors and shower surround. 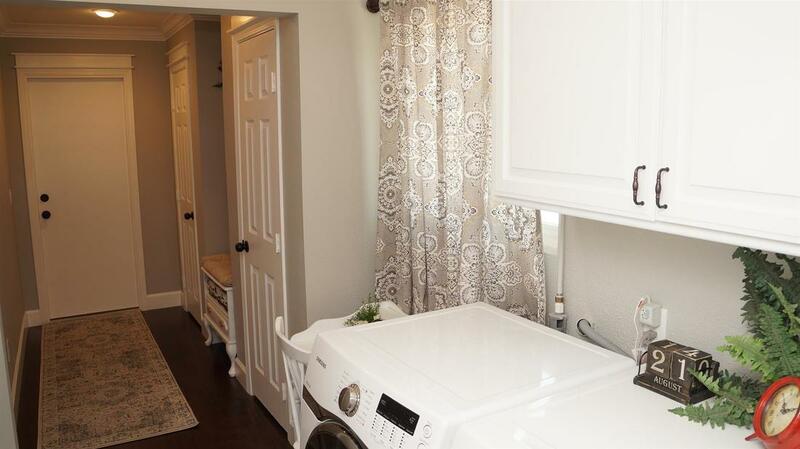 The indoor laundry room opens up to a beautiful mudroom area with two storage closets leading directly to the oversized two car garage. 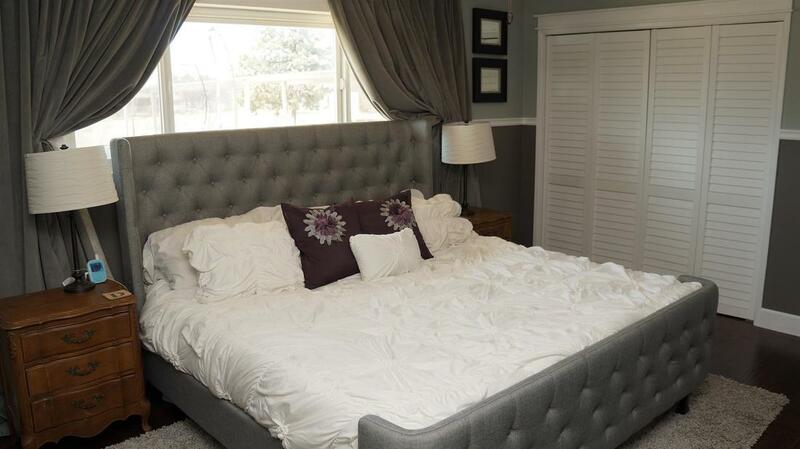 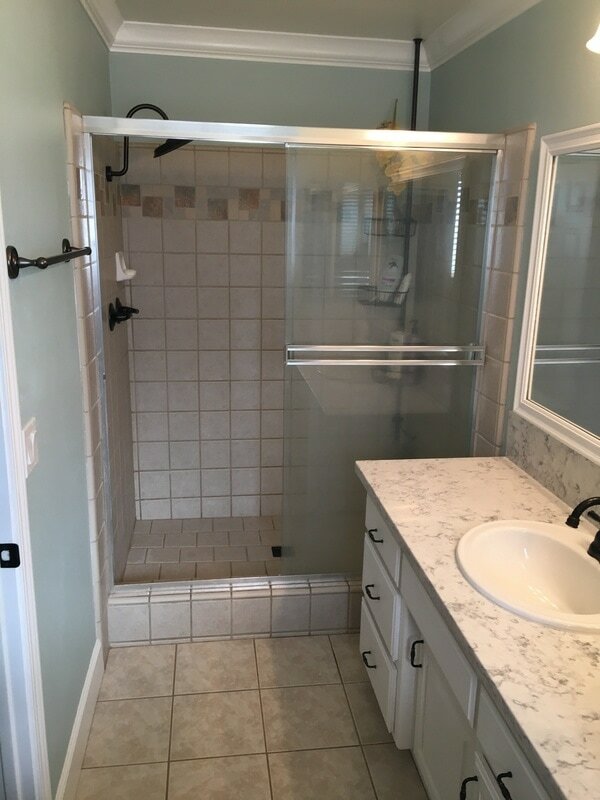 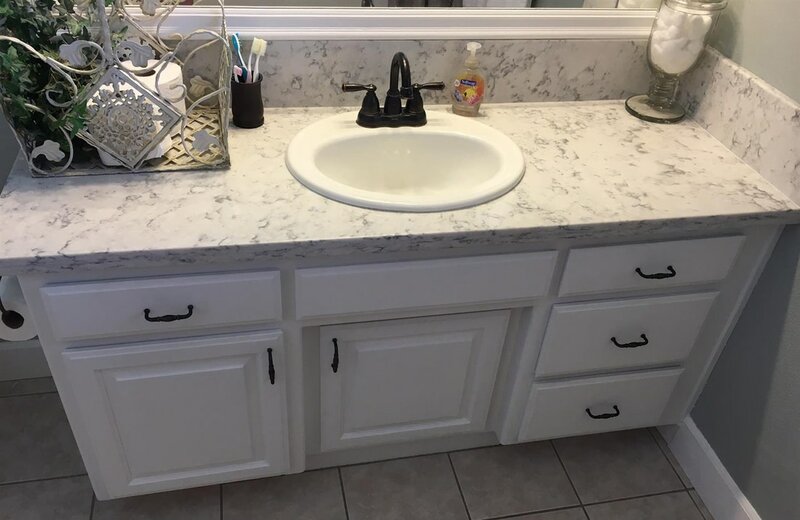 Other interior features include newer fans and lighting fixtures, newer electrical safety outlets and light switches, newer cabinet and door hardware, raised panel doors, dual pane windows, a premium Rainsoft water softener system and some newer AC ducting. 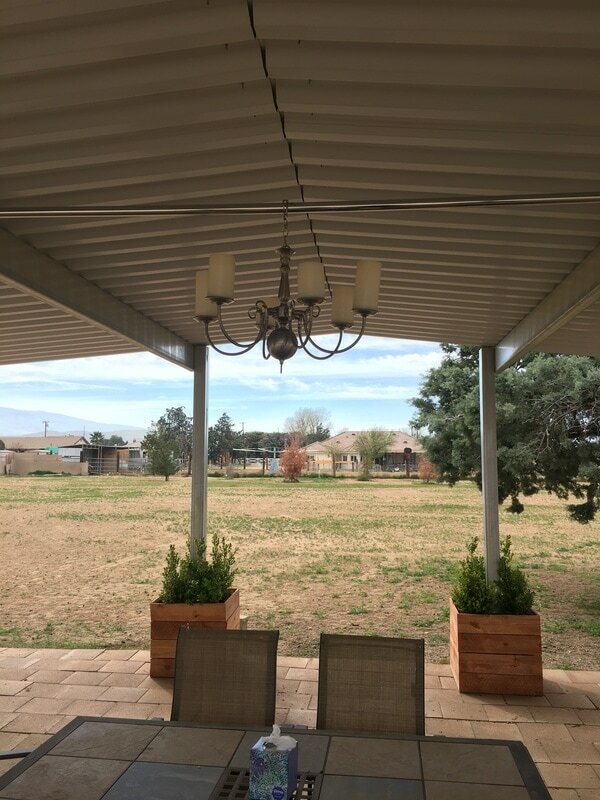 The home's exterior features fresh paint, newer timer controlled lighting on the home and front block wall, custom circular driveway with brick inlay lined with beautiful landscaping. 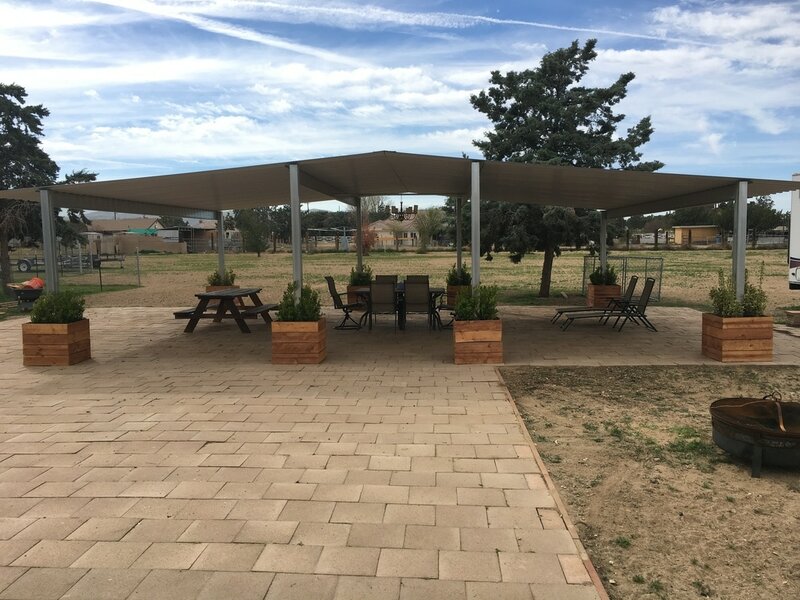 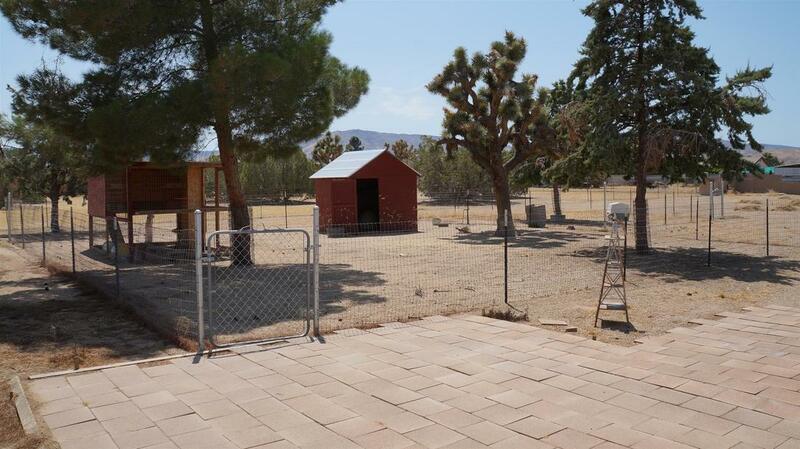 The lot and backyard perimeter is fully fenced with two 8 foot gates and a large 16 foot double gate for easy RV or boat access. 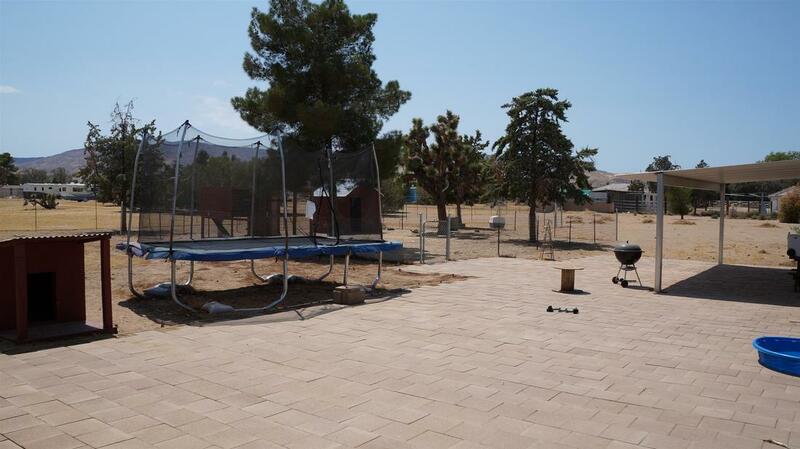 The rear yard includes over 2,000 sq-ft of concrete pavers, a huge 36' x 24' pavilion perfect for shade and entertaining, a sizeable hay barn with electricity, a huge pen with a house for goats and other animals, a large chicken coop and easy water access with hose bibs throughout the property. 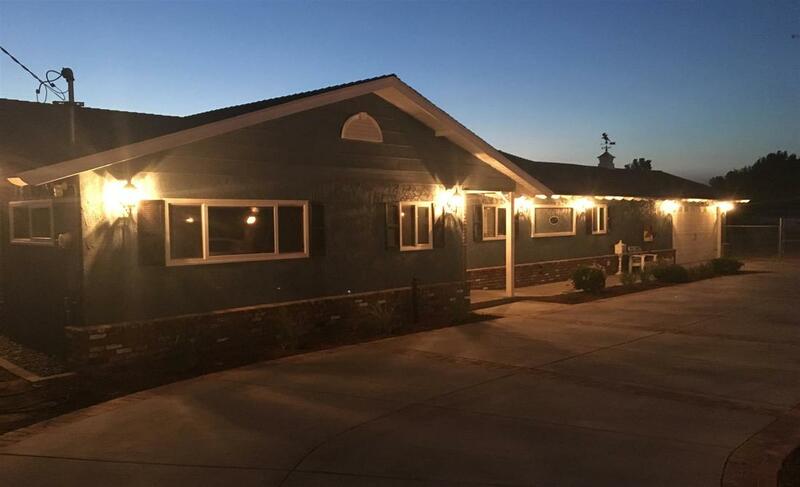 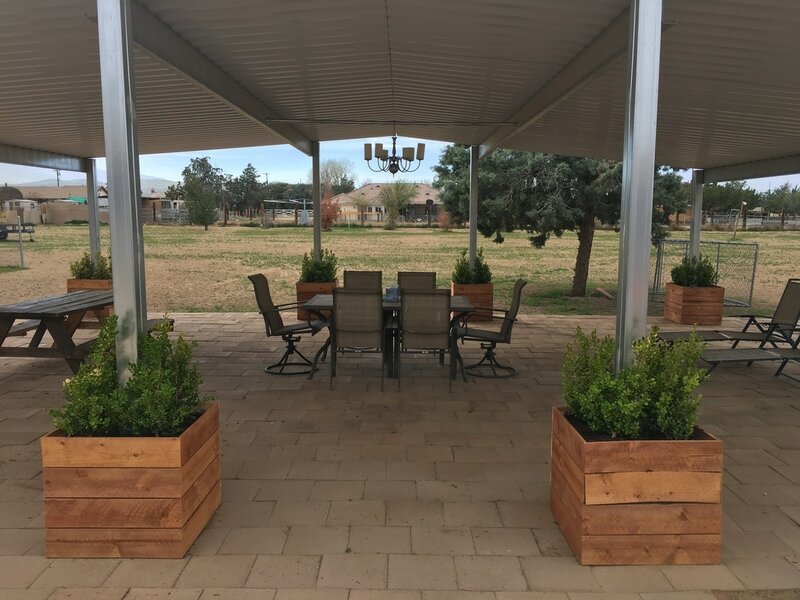 This unique, must see home is near the Antelope Valley Mall with shopping and dining, along with easy freeway access, all just minutes away to your quiet country retreat.